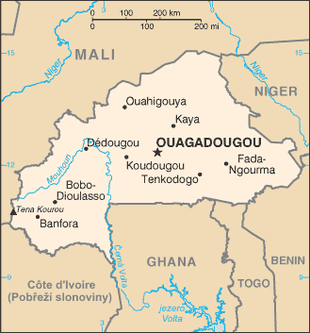 People in Burkina Faso have generally enjoyed the rights to associate, assemble peacefully and express themselves. However these rights are often unfairly restricted. During the removal of the president in 2014 and the short-lived coup of September 2015, peaceful protests were violently repressed by the Presidential Security Regiment and restrictions on freedom of expression increased, including attacks on journalists and human rights defenders. On 3rd July 2018, the Court of Ouagadougou sentenced Burkinabé cyberactivist Naïm Touré to a prison sentence of 2 months on charges of 'incitement to revolt'. On 3rd July 2018, the Court of Ouagadougou sentenced Burkinabé cyberactivist Naïm Touré to two months in prison on charges of 'incitement to revolt'. Touré was arrested on 14th June, following the publication of a Facebook post in which he criticised the lack of medical attention to a special unit officer who was wounded during an anti-terrorism operation. Touré was acquitted for two other charges, namely 'demoralisation of the armed forces' and 'conspiracy against the security of the state'. "This conviction lacks elegance for our country and sounds like a democratic retreat and an attack on freedom of expression and opinion in Burkina Faso. We, organizations of the world of ICTs, while recognizing some excesses at times in the use of the social networks, regret this decision of justice." Civil society organisations can form freely with no prior authorisation and no major obstacles. The legal environment that frames the operation of civil society is generally enabling. Civil society organisations in the country are registered by the Ministry of the Interior, Security and Decentralisation and, depending on the type of work they do, they also have to register with other ministries. Civil society organisations can form freely with no prior authorisation and no major obstacles. The legal environment that frames the operation of civil society is generally enabling. Civil society organisations in the country are registered by the Ministry of the Interior, Security and Decentralisation and, depending on the type of work they do, they also have to register with other ministries. In general, civil society organisations operate openly and freely. However, human rights groups have reported harassment by people in power, especially when they conducted activities that were considered critical of the authorities. For example, after a campaign by CSOs against a draft law on freedom of association, one organisation was threatened with having their tax benefits suspended. Additionally, under the regime of President Blaise Compaoré, the activities of some human rights defenders were monitored by security agents. Individuals and organisations can assemble peacefully in public without prior authorisation from the government, however advance notification is required. The ‘anti-breakage’ law of 2008 does restrict this freedom however, as it places criminal responsibility on the organisers for any violent act that occurs during a protest. Individuals and organisations can assemble peacefully in public without prior authorisation from the government, however advance notification is required. The ‘anti-breakage’ law of 2008 does restrict this freedom however, as it places criminal responsibility on the organisers for any violent act that occurs during a protest. At the end of 2014, a series of popular protests took place demanding the resignation of ex‑president Blaise Compaoré. Reports showed that hundreds of protestors were wounded and at least ten people were killed after being shot during the protests, mainly by members of the Presidential Security Regiment. By the end of 2015, there were no criminal prosecutions under way against the perpetrators of those crimes. Freedom of expression is generally respected in Burkina Faso. However, in a recent survey, 10% of the journalists who were questioned admitted that their reports and stories were often censored, and 35% of them reported that they practise self-censorship. Freedom of expression is generally respected in Burkina Faso. However, in a recent survey, 10% of the journalists who were questioned admitted that their reports and stories were often censored, and 35% of them reported that they practise self-censorship. Journalists have also reported cases of intimidation and death threats connected to stories they published. Libel remains a criminal offense, and media outlets are prohibited from insulting the head of state and from publishing or broadcasting graphic images. In 2012, two journalists were convicted of defamation after publishing articles regarding allegations of corruption within the prosecution office. In August 2015, the transitional parliament passed an access to information law, which is a step in the right direction for strengthening democratic safeguards in Burkina Faso.